Kathy Quilts! 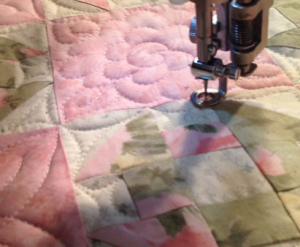 > Kathy Quilting Training Videos > Quilting a Wall Hanging will show you how to load your quilt, and how to quilt it. Learn freehand quilting techniques that will help you learn to make your quilts pop! If you know what you are doing your quilts will turn out so much better. Quilting on a machine frame can be a challenge if you don't know what you are doing. Part one of Quilting a Wall Hanging will show you how to load your quilt, and how to quilt it. Learn freehand quilting techniques that will help you learn to make your quilts pop! When you have put a lot of time into a quilt top you don't want to ruin it by stippling or meandering. 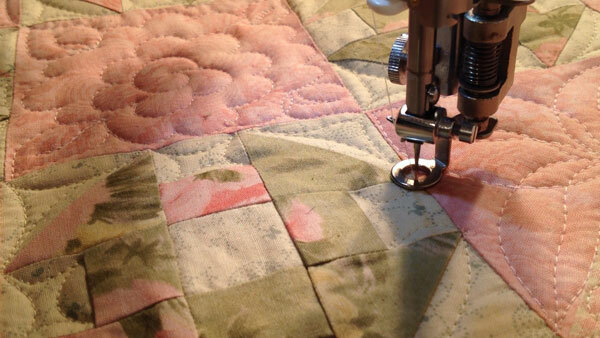 Your machine quilting should bring out the personality of your quilt not fight with it. Learn from KathyQuilts how to work with your quilt and create a work of art. Part two is incuded with the purchase of this video at no extra cost. 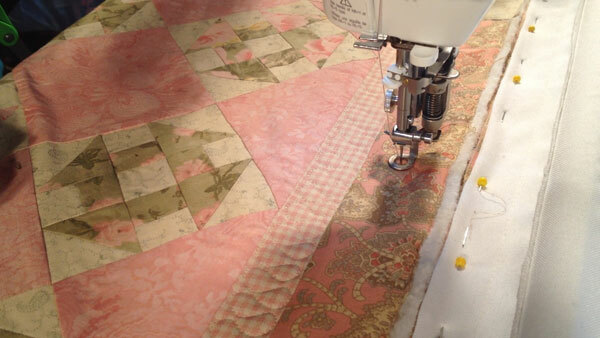 Quilting on a machine frame can be a challenge if you don't know what you are doing. 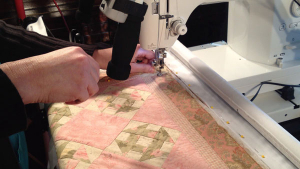 Part one of Quilting a Wall Hanging will show you how to load your quilt, and how to quilt it. Learn freehand quilting techniques that will help you learn to make your quilts pop! When you have put a lot of time into a quilt top you don't want to ruin it by stippling or meandering. 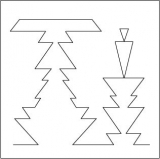 Your machine quilting should bring out the personality of your quilt not fight with it. Learn from KathyQuilts how to work with your quilt and create a work of art.  These videos are intended for viewing on your computer or tablet device. You will need to watch some of the sections over and over to understand what is going on. Kathy does all of this without thinking because she has been doing it so long but people like you and I can learn a ton from this video. 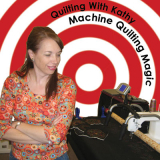 Kathy and Lynn Barlow of KathyQuilts.com show you why freehand quilting is a technique you need to master to become the best quilter you can. This video was shot entirely on a Grace Start-Right Frame using a Juki TL-2010Q, so the techniques will work on both shortarm or longarm machine frames. This is part one of a three part series. 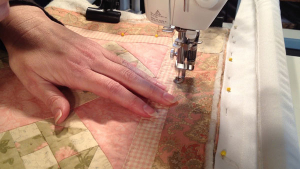 Segment one covers loading your quilt and freehand quilting to efficiently fill each block. This video is about 286 megabytes which is about 15 minutes of HD video. It might take a while to download so please be patient. Part two is about nine minutes long so it downloads faster. Part two is incuded with the purchase of this video at no extra cost. You will also be able to download part three for free when it is done. I loved this video! It gave me a lot of great ideas and I want to use them on my next quilt. Thanks Kathy! Thank you for subscribing to the newsletter! We hope you enjoy shopping at Kathy Quilts! © 1997 - 2019 Kathy Quilts!. All rights reserved.